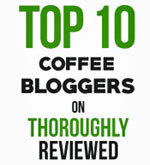 Which are the best coffee makers? And which one is best for you? 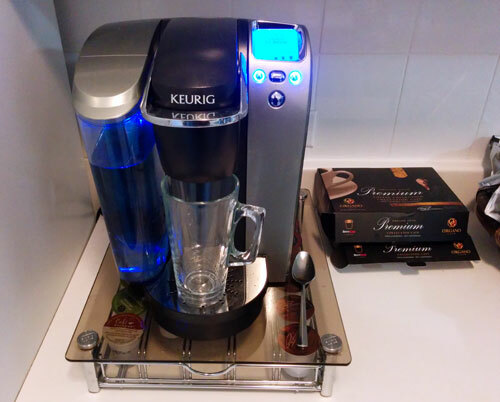 A Keurig single-serve brewer and K-Cup storage drawer. Enter the new world of K-Cup Coffee, Pod Coffee and Disc Coffee. It’s a bit like VHS and Betamax. These are all competing “One-cup” presentations fighting for the lion’s share of the market. Here’s the deal. You buy a particular brand of single-serve coffee maker, and then buy these single-serve K-Cups or Pods of ground coffee. If the machine is designed for use with K Cups, you can’t use Pods, and vice versa. 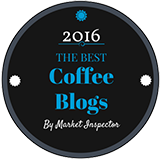 There’s plenty more to say on the subject, which is why we have devoted a separate page to single cup coffee brewers. 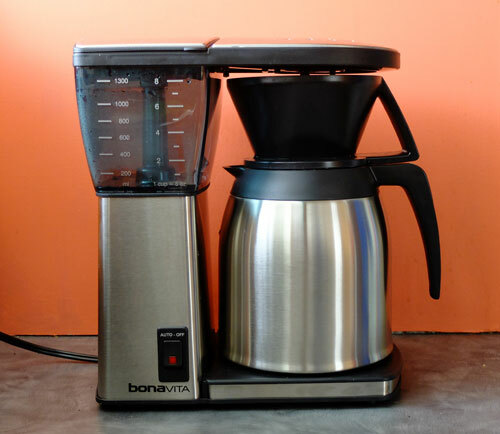 The Bonavita drip brewer with thermal carafe. So long as you have a good model, and the water hits the coffee grounds at the right temperature, drip brewers can make a great cup of coffee. But they do have one disadvantage. And if you have ever poured yourself a cup of coffee an hour or two after it was made in a drip brewer, you know what that problem tastes like. Here’s what happens...these glass carafes are on a hotplate, to keep the coffee hot. The trouble is, after a while, the heat from the hotplate starts “cooking” the coffee. If you are going to use a drip brewer, make just enough coffee for the amount you want to drink over the next thirty minutes or so. If you want more coffee an hour or two later, make a fresh brew. Alternatively, you can buy a brewer with a quality thermal carafe. If you are looking to buy a drip coffee maker, you can almost certainly find one locally. But it is worth researching online first, as drip brewers come in a huge variety of models, with many different features. If you find one you like, and it’s not a model you’d find in your local stores, you can probably find it at Amazon. The French press - also known as a press pot or coffee press - is essentially a glass beaker with vertical sides and a plunger with a mesh filter on it. You put the coffee grounds in the jar, pour in the hot water, put the lid on and press down the plunger after about 4 minutes. Presto. You have a wonderful, rich cup of coffee. It's one of the best coffee makers you'll ever use. In fact, if you go into a quality coffee shop and ask for a single, straight coffee – which they don’t have ready-brewed – they’ll often use a French press to make it. That is one of the weird and wonderful things about making coffee. More expensive brewing systems don’t make better coffee. They just make the process of making it a little more convenient. For more detailed information, and a video demonstration, we have a separate page devoted to the French press. If you want the French press process, but with a modern twist, there are a couple of new brewers on the market that have made some interesting tweaks to the traditional design. If you like an elegant stainless steel design, check out the Espro. Or, for something more sturdy you can take on your travels, take a look at the Impress coffee brewer. The Chemex and Hario Dripper pour-over coffee makers. Beloved of coffee hipsters, the pour-over method is totally hands-on, giving you complete control of the coffee-making process. 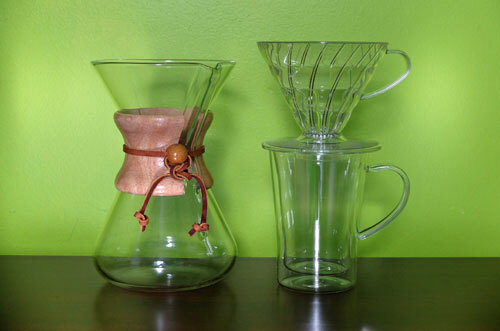 The Chemex brewer is the one on the left in the photo above. You simply add a filter to the top part of the glass vessel, add ground coffee and then pour the hot water over the coffee grinds. On the right is a Hario Dripper filter cone. With the Hario you provide your own mug or caraf. What serious coffee lovers like about the pour-over method is the element of control. You can impact the taste of the coffee with different grinds of coffee, adjustments to the temperature of the water and – above all – your timing and technique when pouring the hot water. Does the pour-over approach make better coffee than other methods? Some people swear by it. Others don’t. Try it for yourself and see how you like the results. You can watch our Chemex demo video here, and our filter cone demo video here. If you want the hands-on experience of one of these brewing methods, but with less of the hard work, check out our review of the Clever Dripper. An older model General Electric coffee percolator. 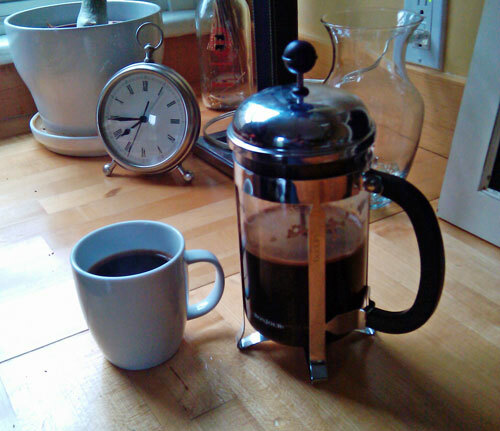 There is some debate over whether or not percolators make a good cup of gourmet coffee. Purists say you shouldn’t use them. Fans of percolators dismiss these objections and claim that percolated coffee is richer and better tasting than anything made with a drip brewer. 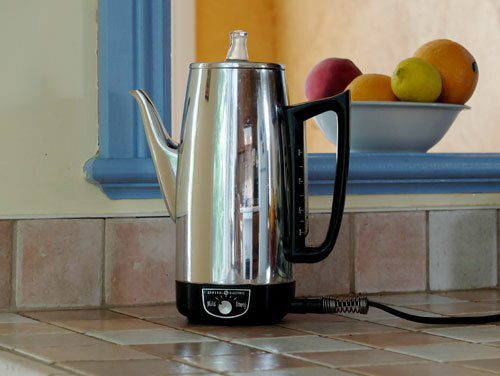 In my view, a percolator is great for making your everyday cup of coffee. I use one myself sometimes. But I wouldn't use a percolator if I were tasting a really good, quality coffee. There are other methods, like to French press or Chemex, that do a much better job of bringing out the more subtle flavors of a quality coffee. If you want to try one, and can’t find any locally, they have plenty of percolators at Amazon.com. At the end of the day, everyone has different ideas about which are the best coffee makers. It has nothing much to do with expert opinions, and everything to do with your own tastes and lifestyle. Just keep in mind that some of the simplest brewers make excellent coffee, and never break down. That's one of the weird thing about coffee makers - the more you spend, the greater the convenience. But paying extra doesn't mean you get better coffee. If you want to know which brewing methods some of the industry's top experts recommend, read: Find out which type of coffee makers the professionals use at home. And, if you are about to buy a new coffee maker, you might also want to look at the models that have received a Certification from the SCAA. (Specialty Coffee Association of America.) Do that and you can be sure that your brewer is technically able to brew a good cup of coffee. 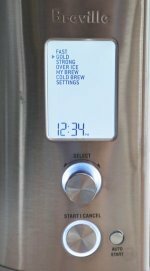 Our review of the Breville Grind Control coffee maker. Our review of a simple Vietnamese coffee maker. Our review of the iCoffee K-Cup brewer. Our review of the Ninja Coffee Bar brewer. Our review of the Clever Dripper coffee maker. My review of the Chemex coffee brewer. The best home coffee brewers now have an SCAA Certification. Learn more about single cup coffee brewers. Best coffee makers under $50. Best coffee makers under $100. Making coffee with a Neapolitan "upside-down" brewer. How to make coffee using the coffee sock method. Is your drip brewer is even CAPABLE of making good coffee? Learn about vacuum coffee makers. Learn about the coffee percolator.